A home loss to the the New England Revolution ends New York's Cup run. JAMAICA, N.Y. (June 29, 2016) – The New York Cosmos fell 3-2 to the New England Revolution in the Fifth Round of the U.S. Open Cup Wednesday night at St. John’s University’s Belson Stadium. Rubén Bover gave the Cosmos a deserved lead in the 38th minute. Juan Arango served the ball in from the left wing to Jairo Arrieta, who made a strong run to the six-yard box. Arrieta laid the ball off to Bover, who fired into the net from eight yards out. The goal came 11 minutes after Arango played Arrieta behind the defense with a quick touch, but New England goalkeeper Bobby Shuttleworth made the point-blank save at the edge of the six before the ball caromed out for the Cosmos' second corner kick. The Revs leveled two minutes from halftime when Teal Bunbury latched onto a ball from Diego Fagundez and fired under the crossbar from 12 yards out. 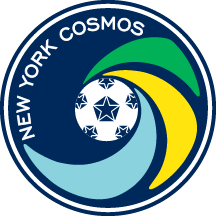 Cosmos winger Sebastián Guenzatti broke the tie in the 56th minute when he took a feed from Arango and put a low, left-footed shot inside the far post from 12 yards out. Kei Kamara, a second-half substitute for the Revolution, equalized in the 75th minute when he converted off the rebound of his own shot blocked by a sliding Rovérsio. Bunbury scored his second in the 83rd minute, chipping the ball over Jimmy Maurer off a feed from Kamara to give the Revolution their first lead of the game. Arango came inches from the late equalizer, but put his left-footed shot just over the crossbar from 17 yards out. The Cosmos return to action Saturday at 7 p.m. ET, when they host the Ottawa Fury FC in the first game of their NASL Fall Season at Hofstra’s Shuart Stadium.